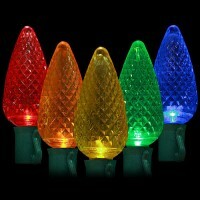 LED C9 Christmas string lights in a variety of LED colors, bulb spacing, lengths and wire color are made of quality components. 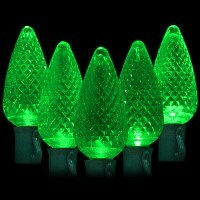 Perfect for Christmas tree lighting, outdoor lighting and indoor lighting where bold, bright, vibrant lighting is needed while reducing energy use. 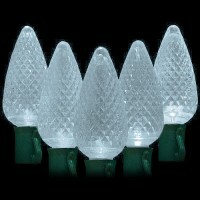 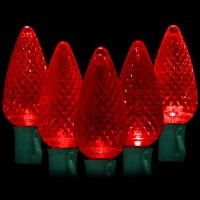 Makes a wonderful replacement of incandescent holiday lights.